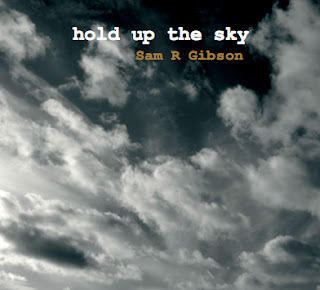 "Northern Irish singer-songwriter Sam R. Gibson’s second album, Hold Up The Sky features several songs on which he adopts personae. On ‘Cold Light Of Day’, for instance, he adopts the persona of a terrorist assassin during the Troubles (well, I assume he’s adopting a persona!) reflecting on the brutal sectarianism of his activities. A tense electric guitar solo be Peadar Coll and haunting backing vocals accentuate the feelings of torment and remorse expressed in the song. ‘No Footprints’, which features lovely, lyrical piano by Pat Crowley, seems to be sung in the persona of someone succumbing to dementia, despairingly conscious that they are losing their mind and their memories of their loved ones. On ‘Taking It back’, a compassionate song about refugees and the callous bureaucracy they face, Gibson’s singing is accompanied by a dark, oppressive soundscape in which Seamus Devenny’s unsettling violin is prominent. In part of the song, guest vocalist Kate O’Callaghan voices the sentiments of a refugee. ‘They want to make us disappear,’ she sings plaintively and uncomprehendingly. Gibson is accompanied throughout by a full band that plays rock, country and other American styles with equal aplomb." Hold Up The Sky is the follow-up album to 2016’s Seeking The Assassin which met with very positive critical acclaim, multiple airplays and media syncs. 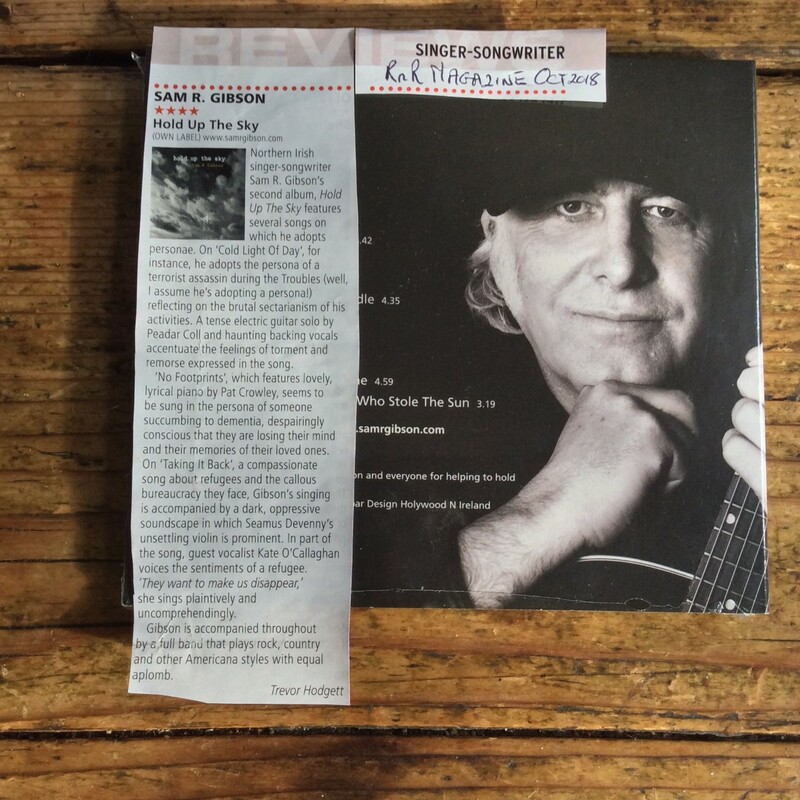 Sky was recorded again at GrooveShack Studios, Ramelton, Donegal, Ireland with the irrepressible spirit, creative and technical excellence of Billy Robinson at the helm. Sam says, “I’ve twice been lucky to be able to take my songs to Billy who is one of the most accomplished bass players, sound engineers and producers in Ireland. I call him 'The Groovemeister'”.